It can’t be denied that The Elder Scrolls V: Skyrim is one of the best role-playing video games ever made, and that many video game fans sure have fond memories of playing through this epic Elder Scrolls game. It is a game with near-infinite replay value, as players can create all sorts of different characters, trying different approaches in each playthrough, plus the game literally offers hundreds of quests to tackle in the fantasy world of Tamriel. 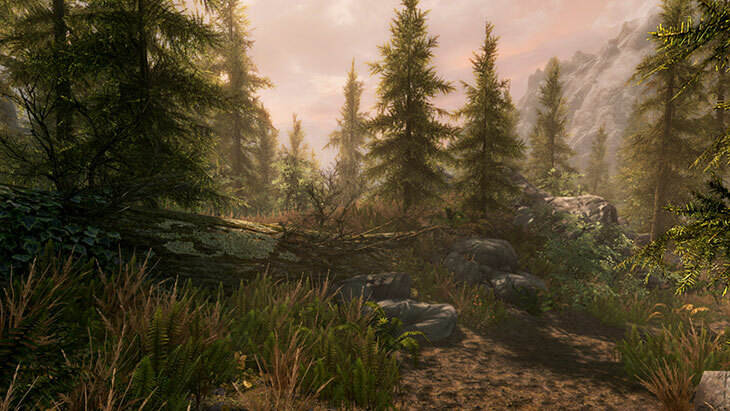 And Skyrim’s PC community has been producing all sorts of mods for the game, featuring new quests, characters, weapons, beautifications, and even some craziness too… And now that a remastered edition of the game is on the way, which will allow console gamers to try the plethora of mods that PC users have been churning out for years, and which will take advantage of new-gen hardware to deliver better visuals, there will sure be plenty of interest in Bethesda’s Elder Scrolls games and Skyrim in particular in the coming months. Although it is clear that many people are clamouring for a new Elder Scrolls game than for a remastered edition of Skyrim, but sadly in a recent tweet Bethesda’s vice president Pete Hines categorically stated that another Elder Scrolls game is not in development. This doused the hopes of many Elder Scrolls fans who were hoping to return to the fantasy world of Tamriel in another adventure, although Hines’ words don’t necessarily mean we won’t see The Elder Scrolls VI in the coming years. Actually, in an interview with Geoff Keighley at E3, Todd Howard (who was game director for Skyrim) made it clear that Bethesda would pretty much like to make another Elder Scrolls game, although he admitted that “it’s a very long way off” and that his team doesn’t “even have the technology” to do it yet. So does this mean that perhaps the next Elder Scrolls game could take advantage of virtual reality headsets to deliver a more immersive experience, taking into account that Fallout 4 will also be getting the VR treatment as Bethesda revealed during this year’s E3 show? Also, let’s not forget that Skyrim’s announcement came out of the blue in 2011, as nobody expected Bethesda to announce a new Elder Scrolls game back then, so the American company might yet surprise us with an announcement in the coming months… But still, even if a new Elder Scrolls game might still be a long way off, fans of role-playing video games and the Elder Scrolls series in particular at least have the Skyrim special edition to look forward to this fall.